The abandoned building which once housed the famous Kronk Gym in Detroit has been destroyed by a weekend fire. Detroit police suspect that the incident may have been the result of arson. The building, which was known as the Kronk Recreation Center, once contained one of the most iconic gyms in boxing within its basement. From that gym’s confides, stars such as Thomas Hearns emerged. “What this building brought for me was a chance at life,” Hearns told the Detroit Free Press from the site of the blaze. “I got a chance to become somebody out of this building right here.” A call came into authorities Saturday night reporting the fire. Detroit’s fire department was subsequently unable to save the structure. 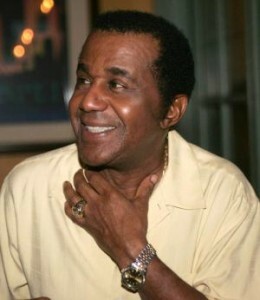 The Kronk Gym was the creation of Emanuel Steward, one of the fight game’s great trainers. Known as the Godfather of Detroit’s boxing scene, Steward not only helped give the world Hearns, but also trained such notables as Wladimir Klitschko, Andy Lee, Mike McCallum and Lennox Lewis. An electrician by trade, Steward started training amateur fighters in the recreation center’s basement in his spare time. By the time Hearns turned pro in the late 70s, however, it was clear Steward had found his true calling as a top tier trainer.